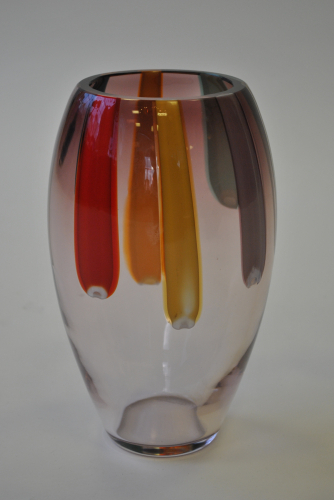 Rare and beautiful Murano Vase. Pinky/purple glass with fused different coloured "rods" descending from the vase mouth. Antonio Da Ros for Cenedese (Signed).